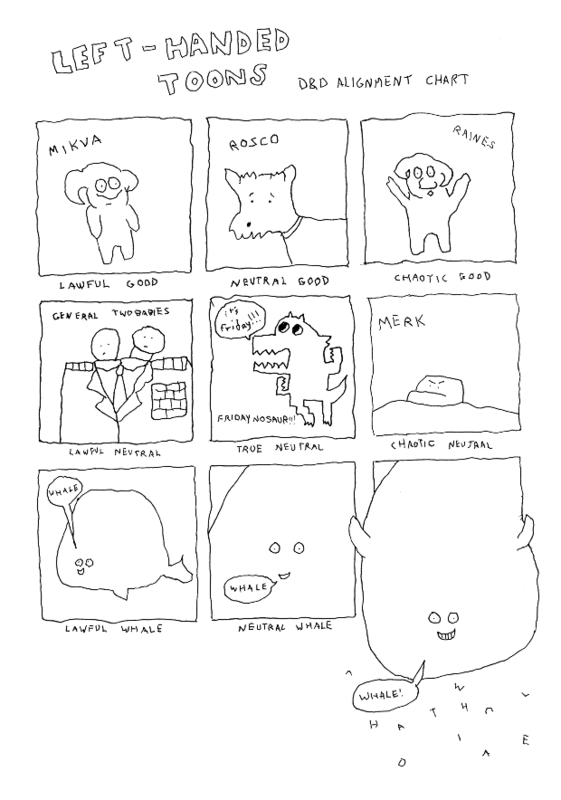 left-handed toons D&D alignment chart lawful good: Mikva neutral good: Rosco chaotic good: Raines Lawful neutral: General Twobabies True neutral: Fridaynosaur it's friday!! Chaotic neutral: Merk Lawful whale: whale! Neutral whale: whale! CHAOTIC WHALE: WHALE! Sanjay is back with another guest toon!